Reel Cinemas, a cine brand under Emaar Entertainment, the leisure and entertainment arm of UAE developer Emaar Properties, has now opened its brand-new six-screen cineplex at The Springs Souk, a vibrant community centre within Emirates Living in Dubai. This adds value to the residents of The Springs community and other neighbourhoods bringing the latest blockbusters to the doorstep of the Emirates Living residents. The six-screen cineplex also marks a first with a dedicated screen for the little ones – Reel Junior. 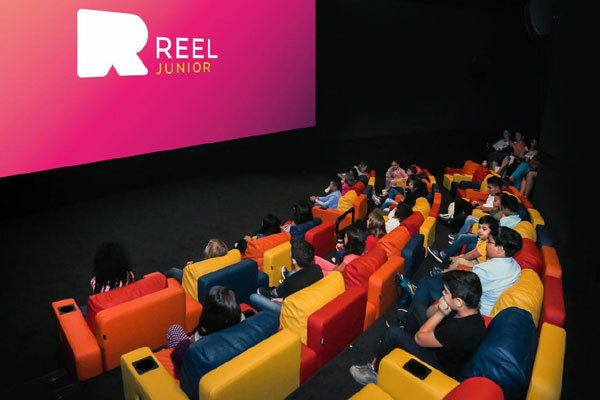 Besides the standard seats, Reel Junior will also offer cool and quirky beanbag seats specially designed for children to sit back and enjoy their favorite movie, said a statement from Emaar. The adults can also accompany the kids and enjoy the cinematic experience from the back row, it stated. The remaining 5 standard cinemas can seat over 200 and will offer an incredible cinema viewing experience, especially for families and kids. Families can look forward to hosting birthdays and other events as Reel Cinemas also has a fun themed party room. With a dedicated entrance, the party room has direct access to the Reel Junior screen and can accommodate up to 40 people, it added. Located in the heart of The Springs community, The Springs Souk brings convenient retail stores closer to residents in addition to leisure and wellness amenities. "It is conveniently located to serve The Springs, The Meadows, The Lakes, Emirates Hills, The Views and The Greens communities of Emaar in addition to residents in the Barsha locality, who will now have all their desired retail choices under one roof," said a company spokesman.